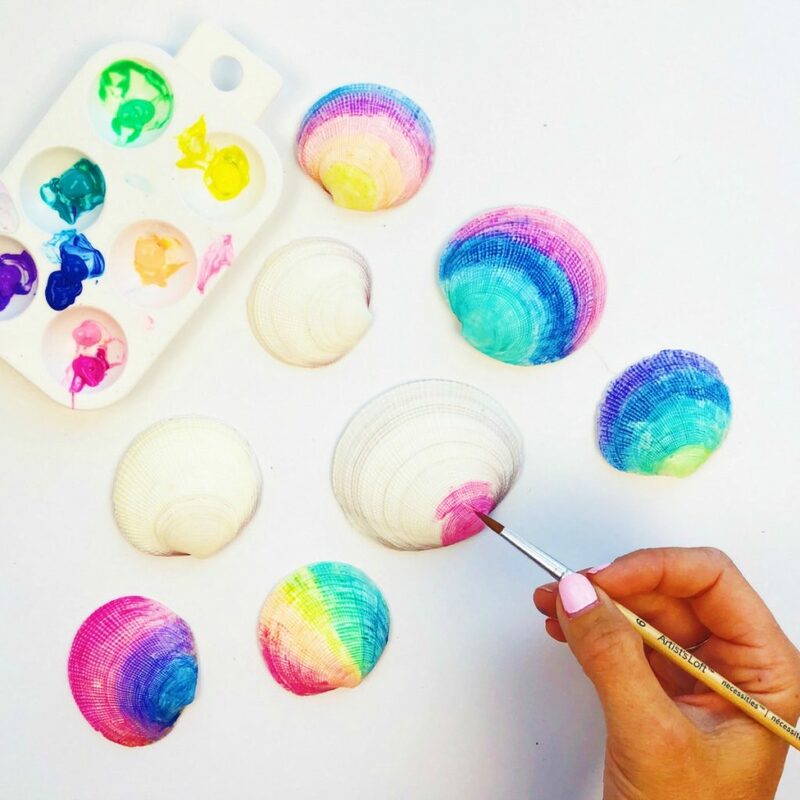 If you’re looking for a fun summer craft, painted sea shells are a great craft to add to your summer bucket list. 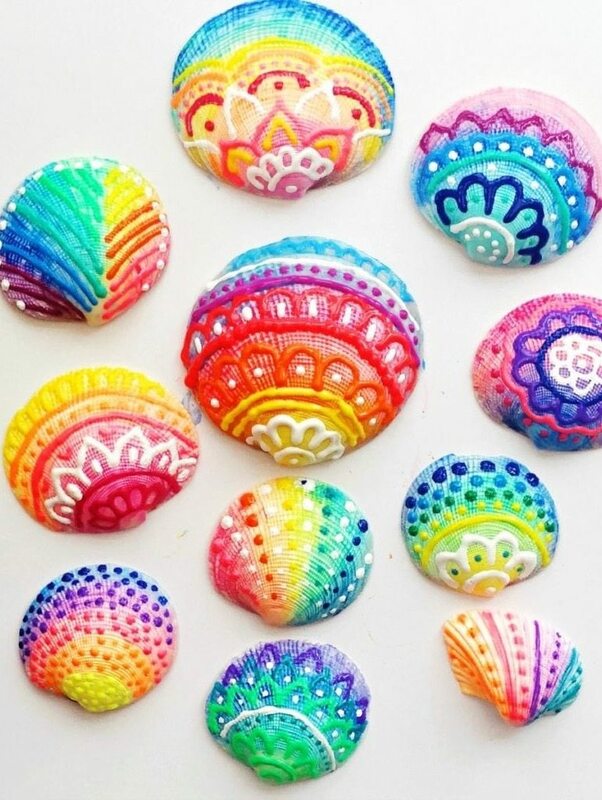 While there are many different ways to paint on sea shells, I thought it would be fun to try puffy paints on shells. I have used puffy paints for all different crafts like these puffy paint rocks, puffy paint phone cases and puffy paint ornaments. 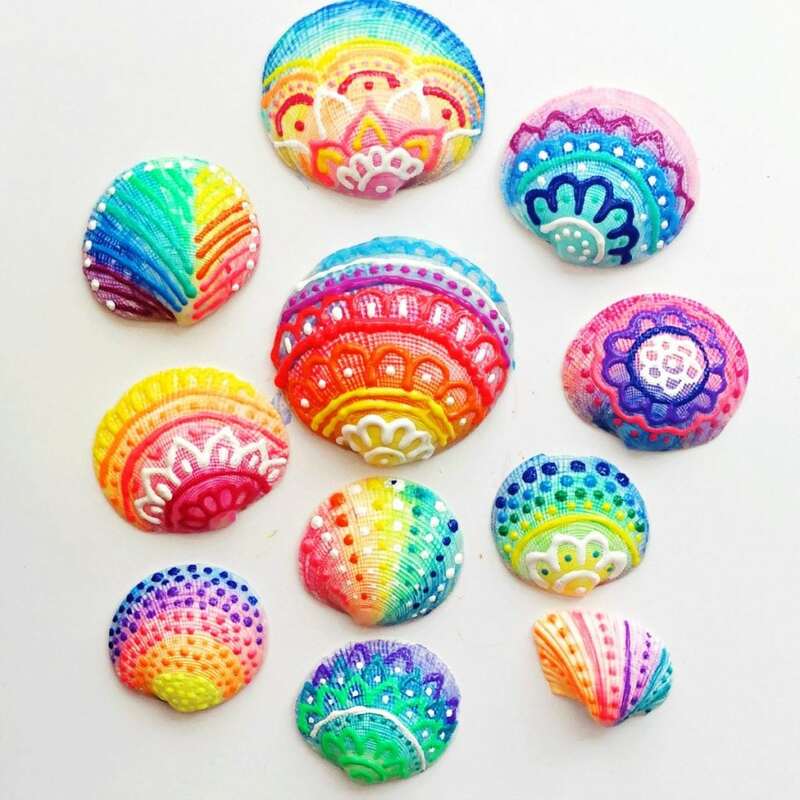 Turns out that puffy paints are perfect for beautiful painted sea shell designs. Another great way to paint shells is to paint a galaxy design on them. Check out my galaxy painted shells here. 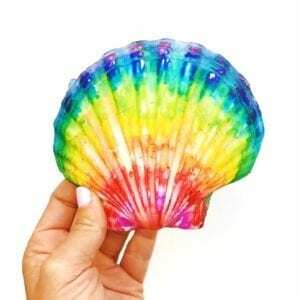 Sea Shells – While collecting your own shells is great, you can also purchase shells online. I used shells from this set. Here’s another great option for shells, as well as these shells. Puffy Paints – I have this set of puffy paints and love the color variety. They also have a great tip for easy application of detailed designs. White acrylic paint (optional) – If your shells aren’t white, you can cover them first with a coat of white acrylic paint. Step 1: Decide which puffy paints you want for the background shell colors. 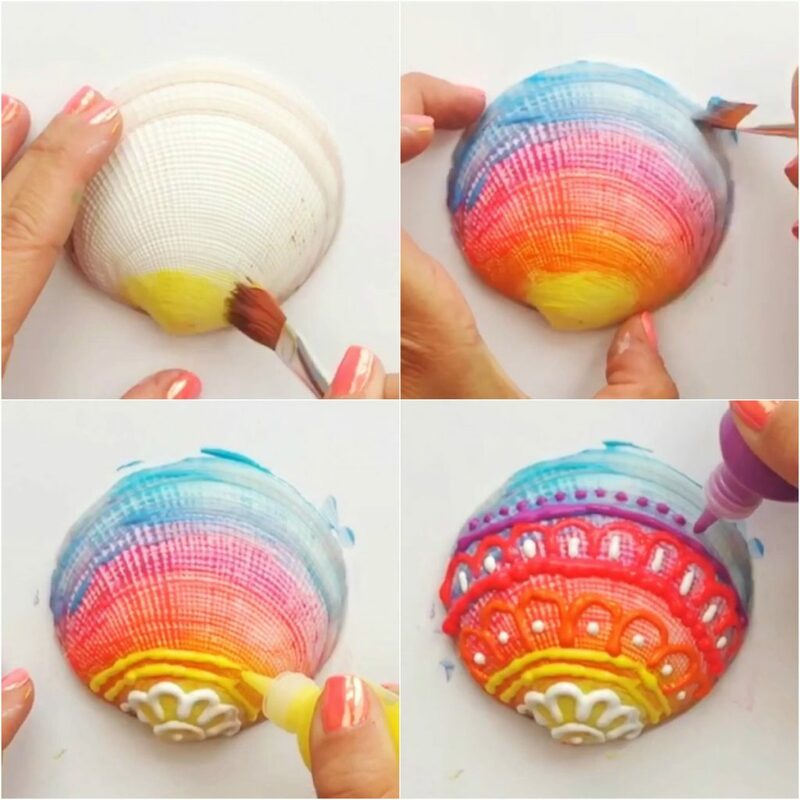 Using a paintbrush, add each color to the shell. Add an additional layer or two of each color to make the background more opaque if preferred. 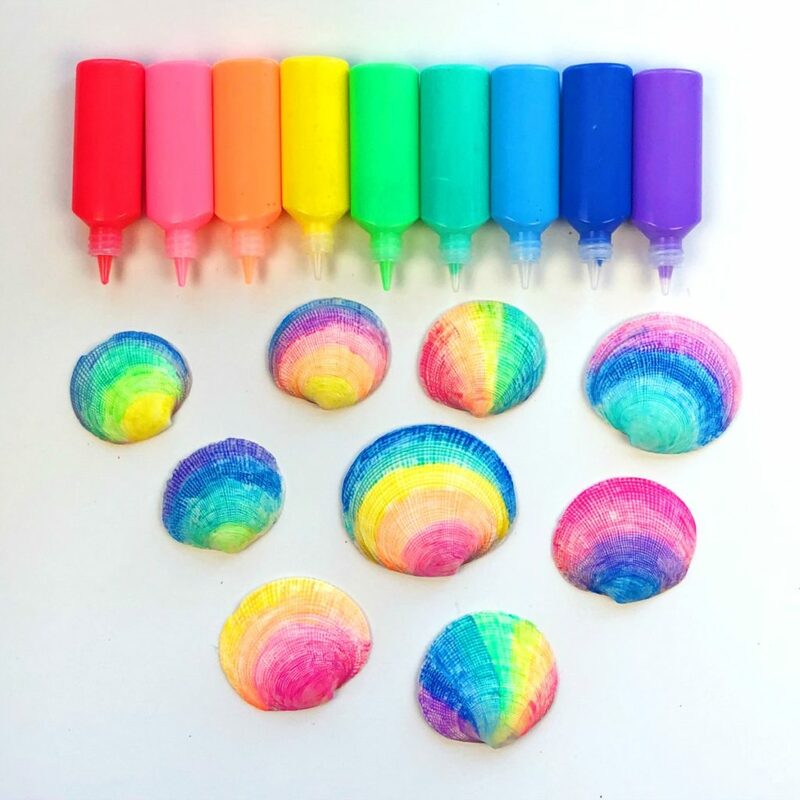 Step 2: Add designs to the painted shells using dimensional puffy paint. If you make a mistake, you can wipe it away a Q-Tip. Step 3: The designs don’t have to be complicated. Even simple lines and dots look great over the colored background. For more crafty and colorful projects visit my Instagram page or Facebook page. 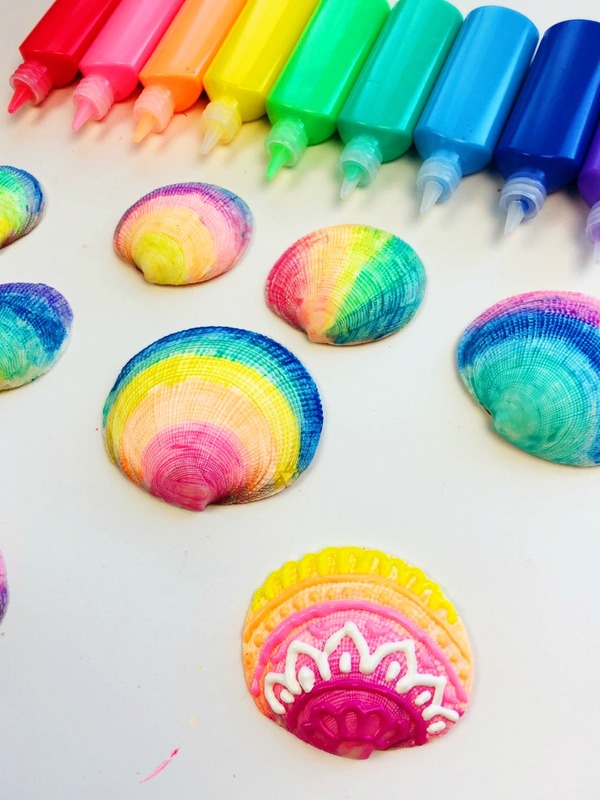 And if you make some puffy paint sea shells, come share your finished shells. I love featuring projects that were inspired by my tutorials with my followers. 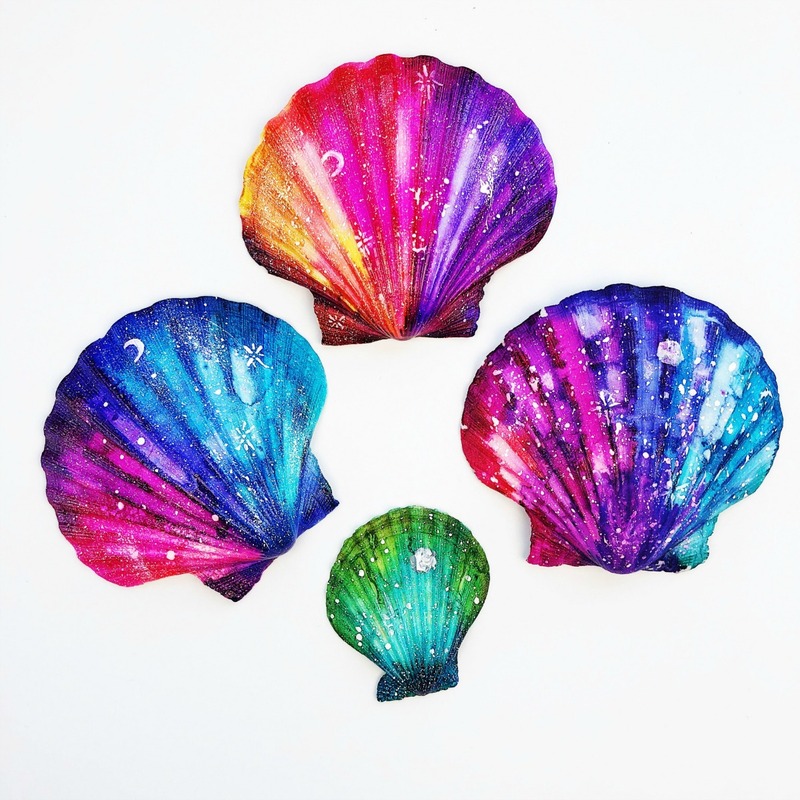 If you like this shell craft, check out how I made these galaxy painted shells. Hi I love this idea and when the shells have been painted I’m going to glue them onto a canvas . I work at a special needs school so have to be careful at what paints I use etc as they eat it . Would this work as well with normal paints ? It would work with other paints but I suggest priming them first with a white flat spray primer. Kylon makes a great one that’s also a paint/primer in one.